the 285-page study program, which includes practical exercises and suggested content for tapping to elevate your healing efforts to the most optimal level, both for your benefit and that of others. educational support for two months from the date you register. The author will be happy to answer any of your questions related to the study program in an email question and answer format. a practical, easy-to-understand overview of the main themes of A Course in Miracles (ACIM), one of the most profound spiritual thought systems known to humanity. To benefit from this program, you need not be familiar at all with ACIM. This program will serve either as a basic introduction or a helpful refresher to reinforce or expand current knowledge of the Course. a brief review of Emotional Freedom Techniques (EFT), primarily for the benefit of the newcomer. However, even the veteran tapper will more fully appreciate the power of EFT to help you (1) dismantle your natural resistance to achieving the goals you desire, and (2) correct the energetic imbalances to clear the negative emotional mine field that keeps you stuck in fearful thought patterns. a straightforward review of 29 of the most relevant themes of A Course in Miracles and how to integrate them with EFT. Discover how these Course principles can serve as a reliable spiritual compass to guide your use of EFT. an understanding of how to shift your thinking to create miracles of love by releasing fear and practicing true forgiveness. a greater sense of peace from discovering the truth of who you are, why you're here, why your relationships work and why they don't, why you get sick, how you can heal, and help others heal. Why Tap Into The Truth? And Why Now? I Google online self-help resources, my search brings up about 388,000,000 results. With this study program, that number is now 388 million and one. Into an incredibly deep sea of self-improvement books, DVDs, workshops, and webinars currently available for the spiritual truth seeker, I am putting forth yet another learning opportunity. On some level, we know the anxiety we feel is linked to the fact that we are not doing what we came to this earth to do. Or at least not to the extent to which we are truly capable. At this critical time in our spiritual evolution, I believe we are being called to release whatever obstacles are keeping us from fulfilling the Divine destinies for which we were born. Knowing we will not see a world at peace until we can look within and see it there makes this study program more relevant now than ever before. Harnessing the combined healing power of Course principles with EFT can bring this worthy goal into the realm of possibility sooner than later. I am unaware of any other study program that addresses this subject in as much depth as needed to fully appreciate the ACIM and EFT integration concept. Tapping Into the Truth is targeted primarily to the EFT tapping enthusiast, whether you're a professional practitioner or one who uses tapping primarily for personal benefit. I offer a very basic overview, enough to give you an experience of tapping. The program may also interest students of A Course in Miracles who are looking for an excellent healing modality to complement their understanding of Course principles. Probably the biggest prerequisite for this study program is the willingness to be open to new thinking. ACIM can be difficult to read, let alone understand, and EFT is relatively simple to learn, but can take years to master. My curriculum is by no means a substitute for a more in-depth study of either one. The intention here is to emphasize the highlights of these two healing disciplines, and show you how you might integrate their most relevant themes. Sheri is Director of The Gary Craig Official EFT Center for the United States, and other English-speaking countries. In this capacity, she is responsible for Complete EFT Certification (which includes Optimal EFT, The Unseen Therapist, and Gold Standard EFT Tapping). Sheri has worked as a certified EFT practitioner and trainer since 2002. She has given lectures on EFT at Life Chiropractic University, Everest University, Virginia College, and for the class on Integrative Medicine at the University of North Florida. Sheri was a guest on the television show, "A Woman's Place," which aired on the Atlanta Interfaith Broadcasting Network, and also appeared on the Jacksonville "Morning Show." This study program is the result of more than 25 years of intuitive development; more than 20 years of study, practical application, and seminar instruction in the principles of A Course in Miracles, more than 12 years of serving as an EFT practitioner and workshop instructor, and more than a year spent creatively weaving together the most relevant themes of both healing disciplines into this study program. Her first book, A Few Good Prayers - A Practical Prayer Book For the Miracle-Minded, is available as an eBook on her website: www.sheribaker.com. Since its inception in the mid-1990s by founder Gary Craig, EFT has become a dominating force in the field of energy psychology, relieving a staggering number of issues that have long plagued the human condition: fears and phobias, stress and anxiety, trauma and grief, anger, guilt, addictions, self-sabotage, depression, physical pain, and the list goes on. Despite its phenomenal success, could it be possible we have only witnessed the tip of EFT's power to initiate major transformation? In my own practice since 2002, I have incorporated EFT with A Course in Miracles (ACIM), a remarkable self-study program of spiritual psychotherapy. While EFT and ACIM are powerhouses each in its own right, together they elevate healing to a level I can only describe as miraculous. This is the essence of what Gary Craig is introducing to the world through The Unseen Therapist and Optimal EFT. In short, the Course provides a sound psychological foundation for a more optimal use of EFT, and EFT serves as a practical instrument to help break through all the resistance and barriers that keep us from accepting the power and peace of mind which is our natural inheritance. Your computer has a power button. So does your TV remote, and a host of other electronic devices. By pressing it, you tap into a wealth of power. Do you know how to tap into your own? Do you know what to do with all that power once you do? Step by step, this study program will guide you to these answers. This is not a program in how to manipulate the physical world so you can manifest all the stuff you've ever wanted. Ironically, however, when you remember who you are, everything you could ever want will be within your grasp. I did not write this program because I wanted to change the world. My intention is that it might help change the way you see the world. In so doing, of course, the world will change. "4 keys to having more wealth than your neighbor." This program is not designed to teach you anything you don't already know. Quite the opposite, its purpose is to help you unlearn what you think you do know. As Yoda says to Luke Skywalker in The Empire Strikes Back, "You must unlearn what you have learned." The purpose of this program is not to make you an expert in either A Course in Miracles or EFT. It is your choice whether to pursue a more thorough study in either or both. This study program is not easy. The part of us that wants to hold onto the status quo is complicated, and must be undone slowly. Because this program is a call to move to a higher level in your spiritual evolution, you will encounter a degree of resistance. So be on the lookout for what the Course calls the negative ego voice that insists you have much more important things to do than study and tap. But Aren't There More Important Things I Could Be Doing? I know what you might be thinking. Current events paint a pretty bleak picture of a world spiraling out of control. Aren't there more important things we could do to heal global insanity than spend time learning a more optimal way to heal ourselves and help others do the same? If we understand the spiritual concept that there's nothing "out there" except a projection of what's "in here," then there's really no better way to contribute to a more peaceful world than to take care of our own inner conflict. Now more than ever, we need to learn how to rev up our spiritual resources, tap into the power within us, and release whatever stands in our way of showing up as the loving, peaceful, magnificent beings we were created to be. Let's face it. We could all use a miracle. From this perspective, learning how to combine two incredibly powerful forces of healing  A Course in Miracles and EFT  in a relatively short period of time, could be one of the most profitable investments you could ever make, both for yourself and the benefit of everyone else. Do You Relate To One or More Of These Statements? I understand the mechanics of EFT, but feel I could improve results if I had some type of spiritual or psychological foundation to guide its use. I often wonder why some EFT practitioners achieve consistently good results, yet my work seems to be more hit and miss. In general, I feel as though my healing abilities are not what they could be. I consider myself a student of the Course and wonder whether it would be advantageous to utilize a technique like EFT to further my healing work. I am neither an EFT practitioner or Course student, but feel compelled to find out more about both. If one or more of the above statements got your attention, you might want to consider Tapping Into the Truth for the answers you're looking for. "I purchased the Tapping Into the Truth study course by Sheri Baker after hearing about it from Gary Craig. Sheri's many years of experience studying ACIM, and applying the concepts is clearly evident. Whether you are a seasoned ACIM student, and/or EFT practitioner, or are new to both paradigms, this excellent self-paced study course is highly recommended. Sheri Baker has walked before us and the extracts she has selected from ACIM in her study course are without doubt masterful selections. "Sheri's course is skillfully written; even the opening description of the course has you immediately warming to her frank, yet gentle approach. 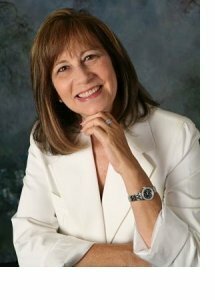 You could read ACIM; you could become proficient in EFT, however, if you are serious about exploring new directions for yourself and for your EFT practice, then I wholeheartedly and lovingly suggest (and highly recommend) Sheri's Tapping Into the Truth study course as a powerful adjunct to your practice and your life." "I've been reading Tapping Into the Truth and I thought it would be impossible for you to make A Course in Miracles easier to understand, but you've done it! The way you write is very clear, which I appreciate because English is not my natural language. Sometimes it feels like you're reading my mind when you address the same questions at the same time they cross my mind. It has been delightful. Honestly!" How does one assign market value to a one-of-a-kind study program that offers a clear and simple blueprint for integrating two powerhouses of healing, and includes two months of educational support? As in real estate, I looked at "comparables." I saw programs priced at $800, $1,000 and much higher, but what determines the most appropriate place on this subjective scale? Listen to the audience. So I took my cue from a student of Tapping Into the Truth who told me, "This program will save me thousands of hours of effort in trying to identify all these healing principles, figure out what they mean, and determine how best to apply them as quickly and successfully as I can!" I decided to do what the Course suggests whenever you want to know the answer to anything: go within and ask. What I heard was, "Acknowledge the value, but offer a price that will accommodate as many people as possible." I am pleased to offer this study program to you for only $250! Ready to spread your mighty wings and fly? If you're intrigued by what you've read in this study program preview, why not acknowledge the "eagle within" and register for what I hope you will find a most enlightening and enjoyable journey of awakening! NOTE: After completing your PayPal transaction, you will be brought to a PayPal screen. In order to download your study program, be sure to click on the text link that says "Return to _____@gmail.com".